Willem von Hombracht (San Francisco,1960), contrabass and bass guitar. 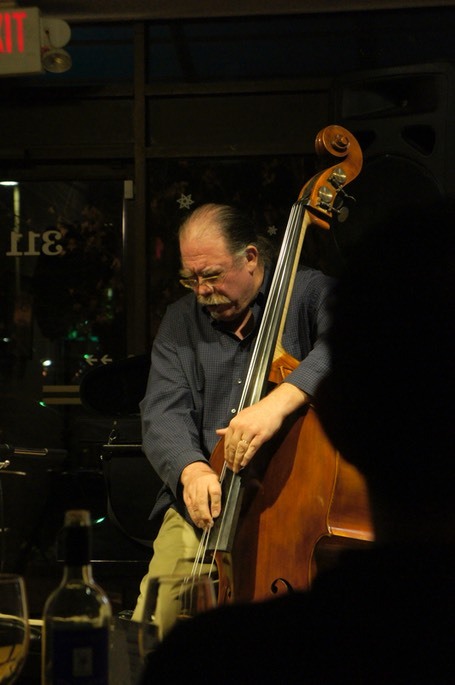 W. has been playing bass since 1977, contrabass since 1983. Studied at the Arnhem Conservatory of Music in the Netherlands, 1984-1988. Studied privately from 1990-1992 with Buell Neidlinger and Charlie Haden. He has also attended masterclasses given by Dave Holland, Glen Moore, John Cage, Bertram Turetzky, Barre Phillips, Francois Rabbath, Miroslav Vitous, Mark Dresser, Ray Brown, David Friesen, John Patatucci, Max Roach, Victor Lewis, Barry Harris, Lou Donaldson, Joe Lovano, John Scofield, Kurt Elling and Joan LaBarbera, among others. Through the years he has worked in quite a wide variety of musical situations, easily moving from one style to another. He has played in orchestral and chamber groups, both classical and modern; folk music from around the world, including, for example, Hungarian and Romanian gypsy music, Russian folk music, traditional Persian music, West African music, traditional Cuban and salsa, Caribbean calypso, Brazilian samba and Argentine tango; various rock and blues bands; and has for many years been in high demand as a jazz bassist, in styles ranging from traditional to bebop to free form improvisation. He also collaborates on projects with poets, dancers and actors. Willem lived in the Netherlands for many years, and has traveled and performed in Denmark, Germany, Belgium, Italy, France, Switzerland, Hungary, Poland, Russia and West Africa. 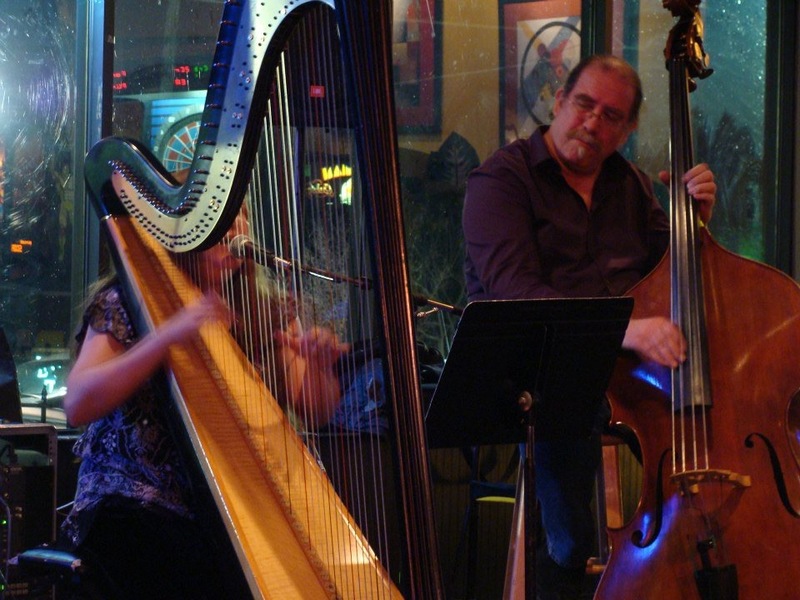 Willem & I have played Jazz & Classic Rock together, and we can also play as a Classical Duo as well. Add flute, or violin, and we can play as a trio. Willem is an amazing Bass player, whether he is playing upright, electric, or even Bass Mandolin! 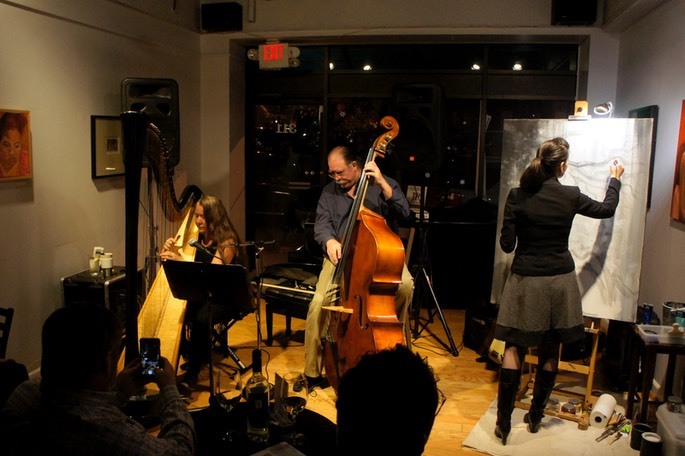 The photo above was taken at my Annual Birthday Extravaganza, featuring myself on Electric Harp & Vocals, Willem on Bass, and our good friend Vesna Delevska at the aisle. Every year we gather to celebrate Vesna & my Birthdays with live music & art! We are also available for special events!